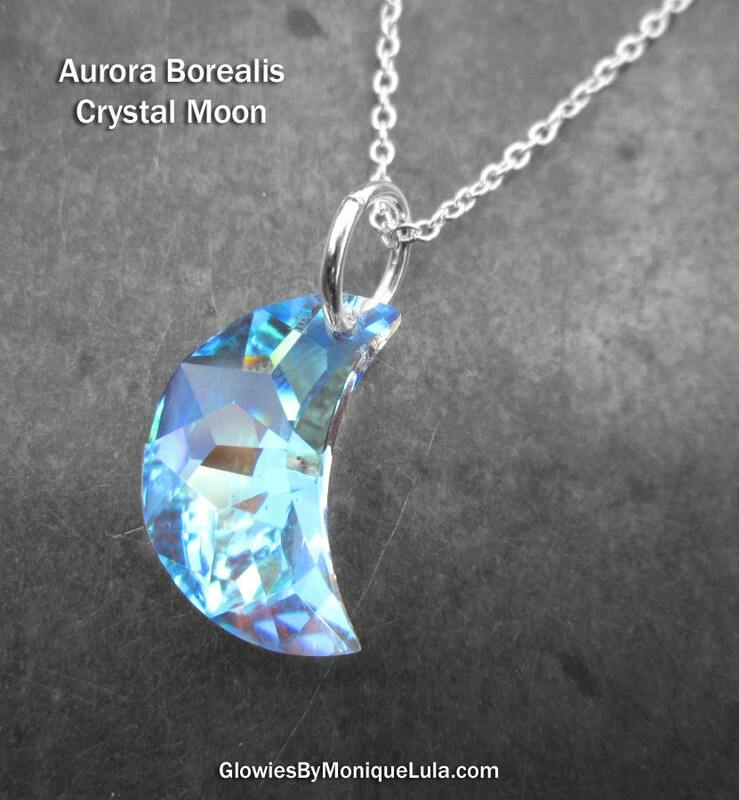 Gorgeous and flawless genuine Swarovski Aurora Borealis Crystal Moon Necklace, handmade in my smoke free California studio. 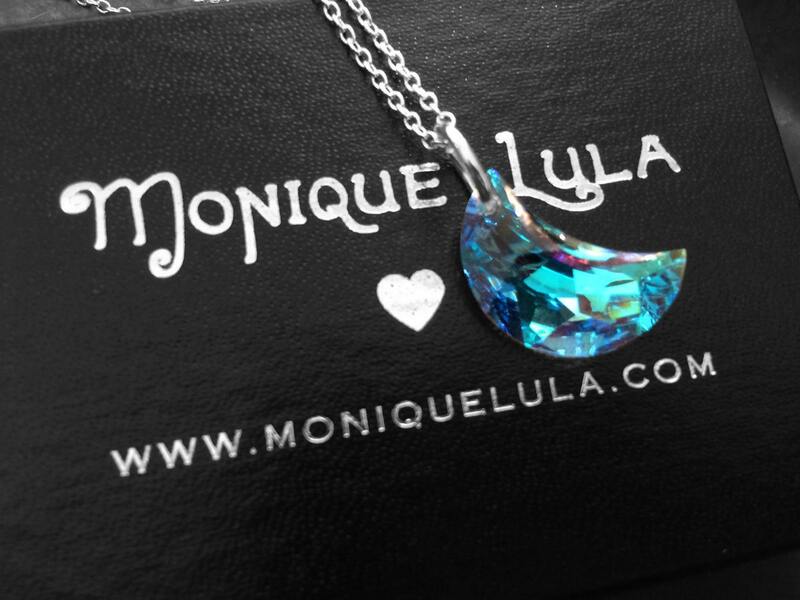 Made with the finest quality Swarovski crystal you can find for the best faceted edges and pristine boutique quality. 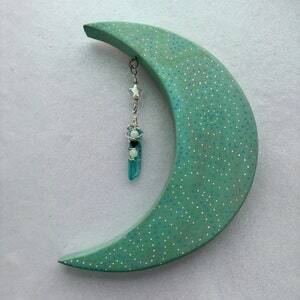 Moon measures under 1 inch and comes on link chain with lobster clasp. 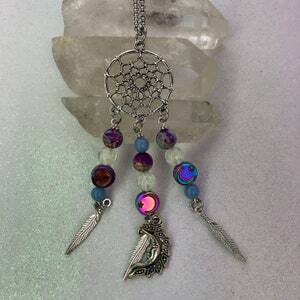 comes in gift box ready to give as gift! 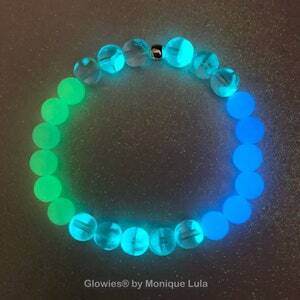 These do not glow in the dark. I've been making my jewelry for many years and only use sturdy quality components, and these rings will get you lots of compliments. So magical in the sunlight. 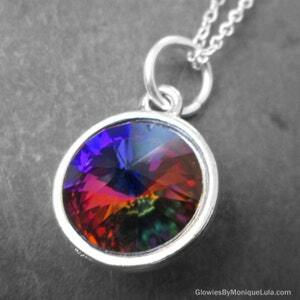 Radiates a spectrum of intense rainbow light as you move around in sunlight, will reflect on things. This can only be achieved with high quality crystal.